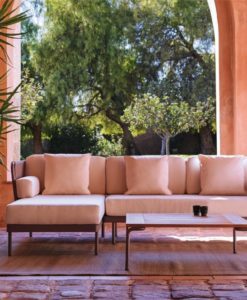 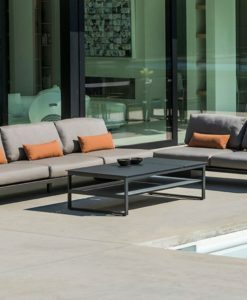 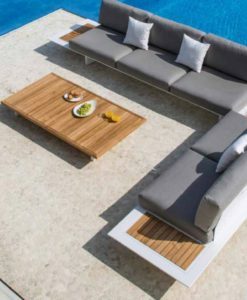 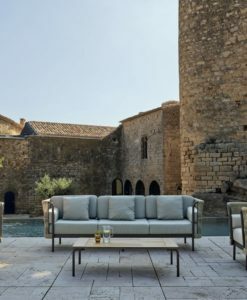 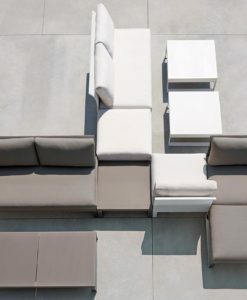 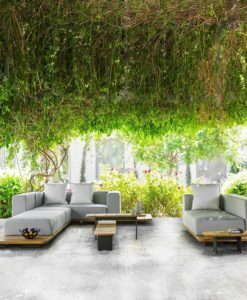 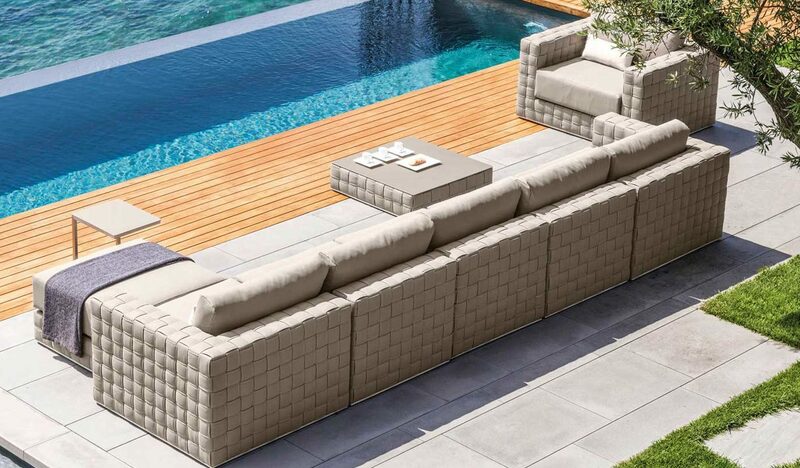 Bold elements with patch woven frame and plush cushions allow you to create the most sophisticated outdoor space from modular sofa, club chairs, chaise lounger, ottoman, coffee table and dining. 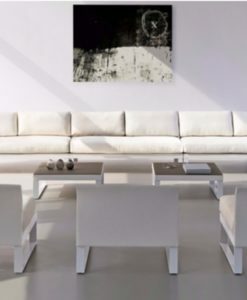 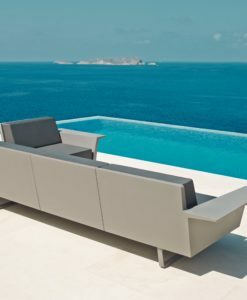 The sumptuous grey melange can easily be used indoor or outside on a patio terrace or by the pool for relaxing space. 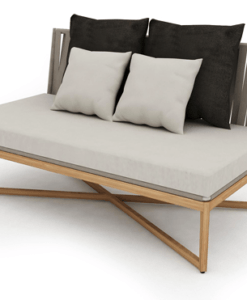 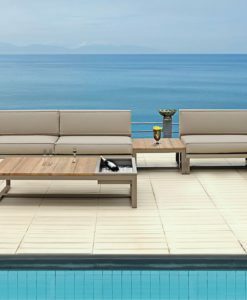 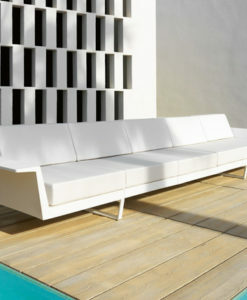 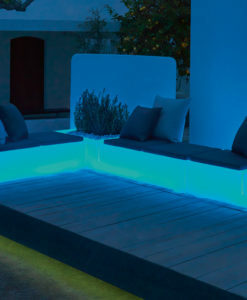 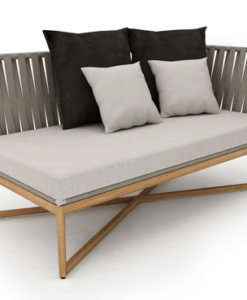 Baron, is a Luxury sofa perfect to have by the pool weather resistant. 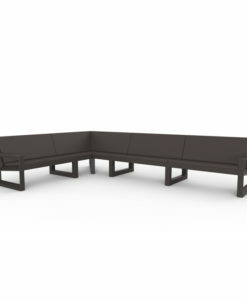 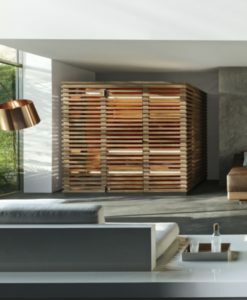 Choose all-weather Dove Textilene or luxe Grey Mèlange removable covers, easy to wash and weather resistant over Quick-dry foam over a powder coated aluminum frame. 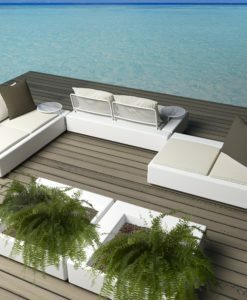 Coffee table with dove Textilene with matt tempered silk-screened glass top. 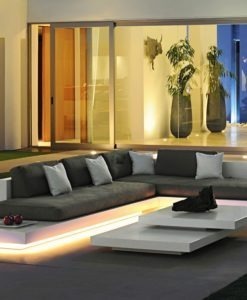 Coffee table with grey and stone glass top.